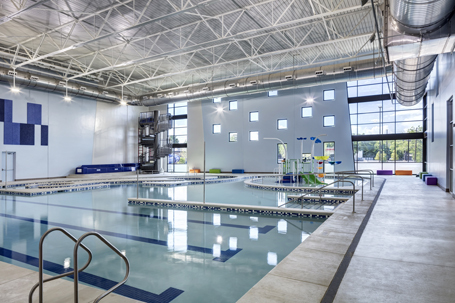 Das Rec came to fruition after a 2013 bond package allocated $16 million for a new recreation center. At that time, the city contacted Counsilman-Hunsaker to conduct a feasibility study for the design of a new recreation center in Landa Park. The study phase included public meetings, stakeholder interviews and charrette sessions. Three concepts were developed for consideration. Operational expense and revenue projections were also developed for various options to help arrive at a preferred option targeting 95% recapture rate. 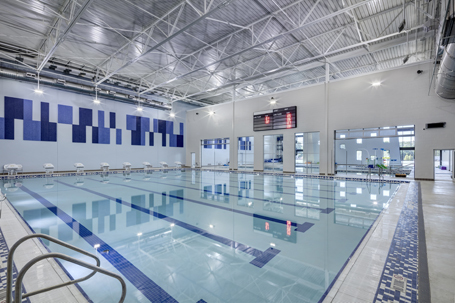 After seeing the benefits of the community-based facility, the school district offered to fund $2.2 million for a competition lap pool (which provides a home for the district’s swim teams) and a second gymnasium. Also, the New Braunfels Industrial Development Corp funded an additional $5.8 million towards aquatics and an additional gym. The new 70,000 sq. 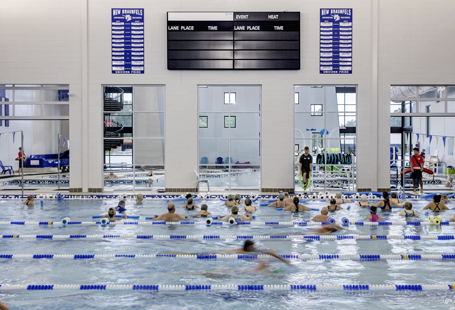 ft. recreation center includes an aquatic center, a 20,000 sq. ft. gym (which can be divided into four separate areas), an elevated track, machine and free weights area, a child care center, and party rooms.